Support This Site - Yes, you can be a big help. See How? Supporting this site is very important part of keeping the site visible to my visitors. Google and other major search engines are constantly making changes with theirs search engine algorithms. These changes effect on many websites like my site. I can be on a top of search engines one day and disappear on the next day. I'll never know. 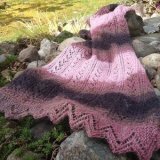 I love this site and I want to keep it around for a very long time to share my passion of knitting with my visitors. In order to be visible in the internet world, I need your help. 1. Click "like" button if you have Facebook account and post comment at bottom of a page or pages you enjoy. I always love to hear your comments. 2. Tweet it if you have twitter account. 3. Pin it if you have pinterest account. 4. Share site links or pattern links with your friends. 6. You can also support this site by Donating Money through PayPal using Secure Donation Link below. 8. Bookmark the site and come back often. The more traffics the higher this site will rank on Google and other search engines. We want to keep a good site visible, right? As you may know, I started this site with my love and passion for knitting a few years ago. What do I get in return? - A joy of working with something I love like knitting, cooking and building a website. - I feel happy when I know that I can help someone learn to knit or help solve their knitting problems. - the best part of this is I gain many knitting friends from all over the world! What can beat that. I am so thankful to many of you who have helped support this site along the way. Those who pressed "like" buttons, shared my site link, tweeted, pinned, clicks on my banners and posted your comments. Many thanks to visitors who submit contents, questions, comments and more. Those are all very helpful. Thank you kindly for all of your support. I'm looking forward to work on this site for a very long time. And with your help and contribution, I'm very confident that I'll be working on my knitting projects and my recipes for a very long time. 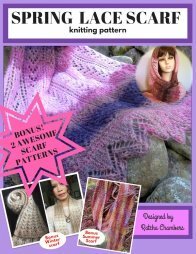 In return, visitors can enjoy my creative contents such knitting patterns, easy recipe, and knitting lessons from this site for FREE!